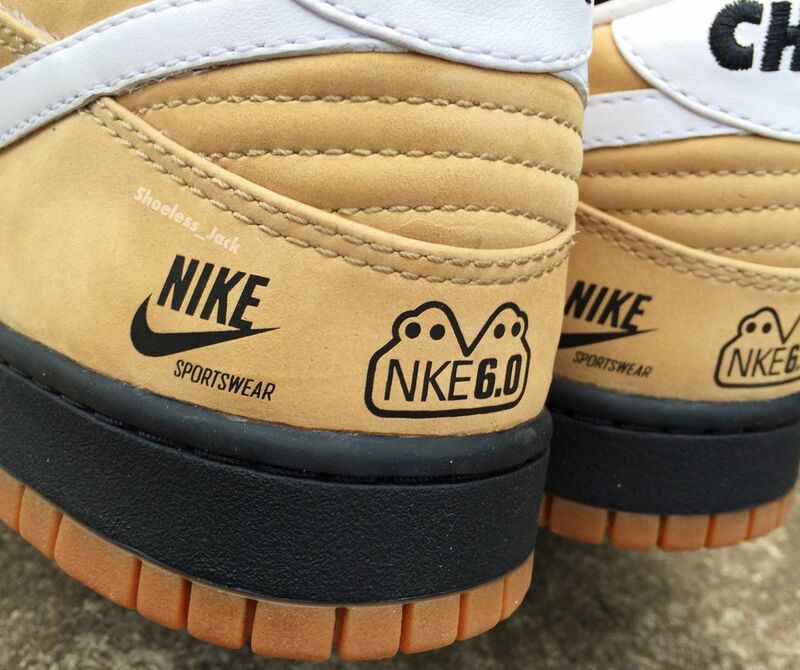 A collaboration between Nike SB, Nike Sportswear, and Nike 6.0? Not quite. 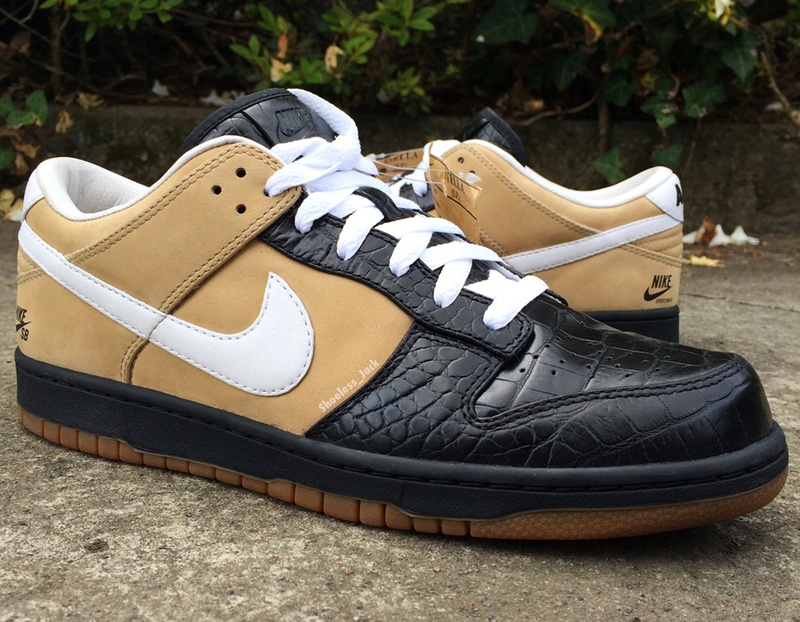 This curious Nike Dunk sample, which bears the logos of those three Nike imprints, is actually a sample originally made for a Nike employee who worked for those separate branches of the company. The sneaker was meant as a celebration of his accomplishments while on campus, and isn't something that was ever intended for retail. 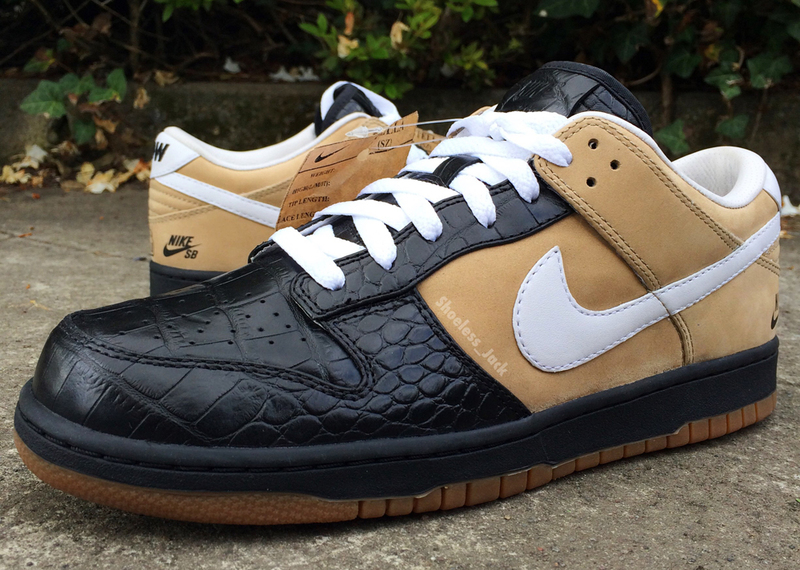 Aside from the crazy branding combination, this Nike Dunk Low creation also wears gum bottoms and an embossed croc leather on the toe, eyestay, and tongue. 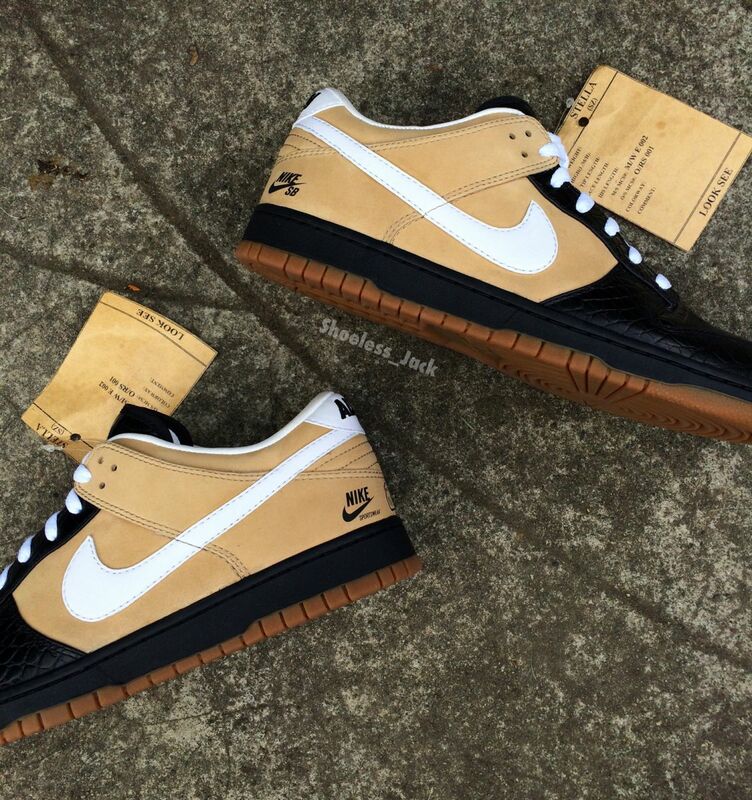 This Nike Dunk Low comes from the collection of shoeless_jack.